her: May I help you? me: Yes, I am ready to file my Idaho taxes and I owe a little bit of money and the address on the voucher form is different from the address on the Idaho Form 40 and I wanted to make sure I am mailing to the correct address. her: Yes, that is correct. her: Well, we have lots of addresses, it will get to us either way. You can mail it to (says address). me: So the address on the voucher isn't right? her: Yes, that one is for payments. me: So which one should I use? I finally got lots of vacation pictures uploaded to flickr. 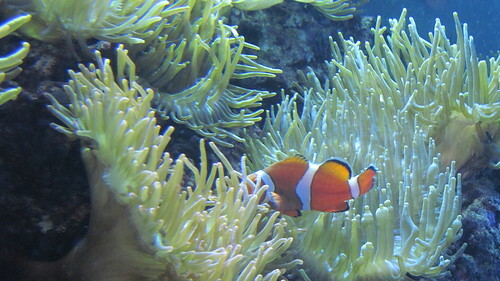 Here's a little sneak peek for you: I found Nemo!